As part of their Smokestack Series, Boulevard Brewing Company releases Coffee Ale as a seasonal beer in the Spring time. They partnered up with a nearby company, The Roasterie to come up with the recipe for this bottle of deliciousness. This air-roasted coffee company provided Ethiopian Sidamo from Africa’s Great Rift Valley, and Boulevard Brewing Company mixed the coffee with rye, oats, malted barley, and spiced with Perle and Styrian Golding hops. Not your typical Coffee flavored beer, as this is not quite a porter or stout. It’s more like a dark amber ale or the like. Besides beer, I do drink a lot of coffee. What do you think helps me at night when i am working on these posts? Using a Becker-style pint glass, Coffee Ale poured a very dark amber color, that has a nice glow to it when light shines through the glass. The beer was crowned with a 2 inch wide frothy tan colored head, which retained great, leaving a nice sticky film lacing down the glass. The aroma of the beer was all coffee up front. The coffee was a bit sweet, and peppery. For me, a good coffee beer has a distinct aroma of peppers or chilies, making it believable that the beer would be spicy. I love that quality in a good coffee beer. There is a nice bouquet of other characters behind the coffee. A bit of the malts and grains shine through, showing a little chocolate, some dark fruits, and a bit of caramel and sugary sweetness. The taste was as expected, following the nose. There is a strong roasted coffee flavor right away, followed by a peppery spice that I get with every coffee beer. There is a nice backbone of the malt flavors, chocolate, dark fruits, and caramel. There is an overall sweetness on the palate to this beer. Very nice overall flavor, and pretty complex for a beer that really wanted you to focus on the coffee. The body is a medium thickness. Not very heavy, despite the appearance. The mouthfeel is nice and smooth while drinking. and with the hops and rye added, that helps leave a spicy bitterness, with a nice dry finish. Overall, this beer delivers on exactly what was promised, coffee. I really enjoy a good coffee beer, and this beer is great. 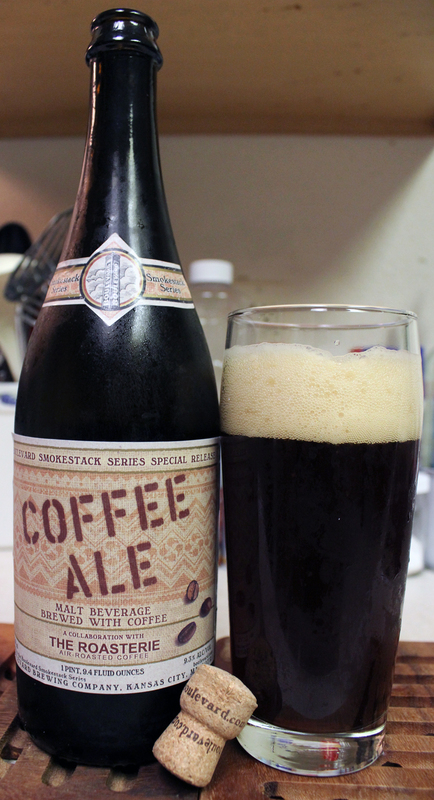 As most coffee beers are based around Stouts or Porters, this one has a nice brown ale wrapped around the coffee. Very enjoyable! Metal Connection: Duncan Hills Coffee, a fictional brand of coffee from the popular TV program called Metalocalypse on the Adult Swim/Cartoon Network channel. 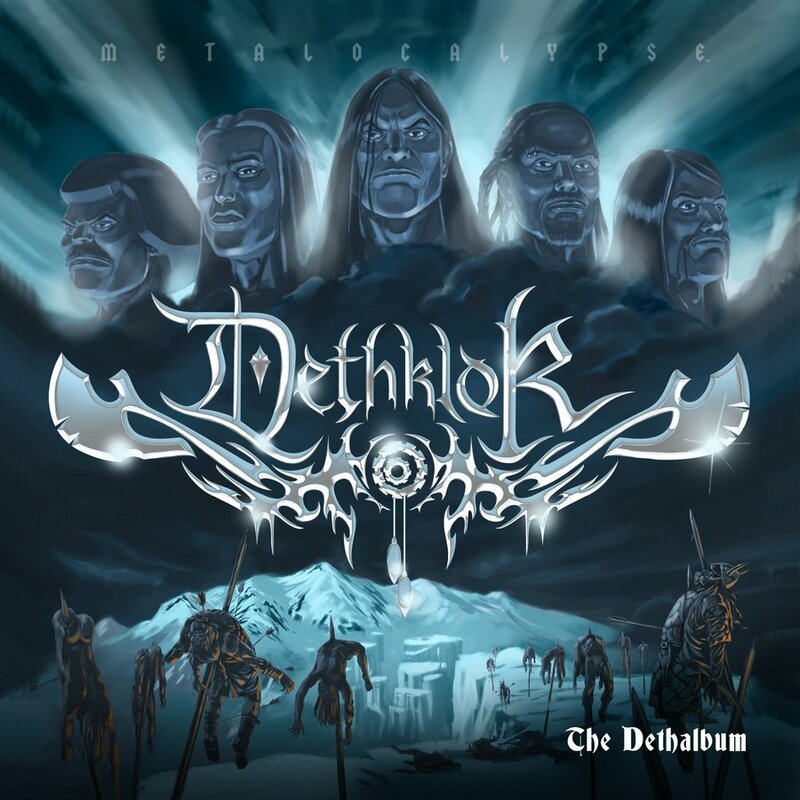 The program is based around a Death Metal band known as Dethklok, and they are the world’s most popular and richest band. The funniest part of this show for me, is that it follows the everyday life of these musicians and their way of talking, body language and shenanigans all remind me of a lot of people I know in the Metal scene. The cartoon is co-created by Brendon Small, who is responsible for another cartoon called Home Movies. Brendon Small is also the musician behind the music of Dethklok as he plays guitar, bass, keyboards, and vocals in the studio for the fictional band. Metal legend, Gene Hoglan (Dark Angel, Death, testament, Strapping Young Lad, among others) joins Small on drums. Not only are the songs from the TV show recorded for albums, they decided to take the musical act on tour. While showing the cartoon on a large screen above the not so lighted, dark stage so you can focus on the screen while the band plays live was a genius move. They had the henchmen walking around the venue, and everything. I enjoyed watching this show live. This song is a bonus track on the very first Dethklok album called The Dethalbum. This is the theme song for Duncan Hills Coffee. ‹ PreviousBMD on Tour: BLAKKR Release Show!